Just like its predecessor, the Mix 2s is a stunning device. A true testament to Xiaomi's ongoing efforts to push the envelope in modern smartphone design. The Mix 2s is the perfect embodiment of what an "S" release normally is - an incremental update. A refresh and chance to improve a worthwhile product, already successful and popular enough to merit the extra effort. Here are some tutorials for you to help you transfer Samsung to Xiaomi Mi Mix 2S. The most convenient way to transfer data from one phone to another must be transfer between them directly. Syncios Data Transfer can perfectly achieve this! 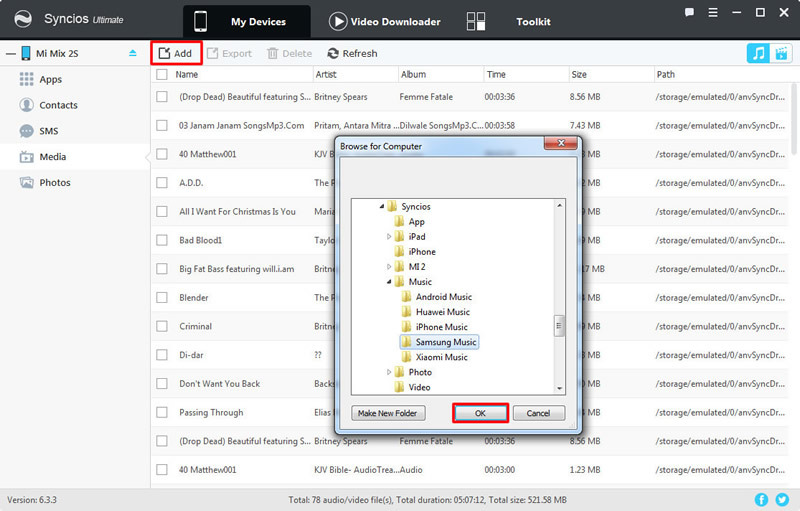 You can also restore iTunes or iCloud data to your phone. Install and launch Syncios Data Transfer on your computer as your first step. 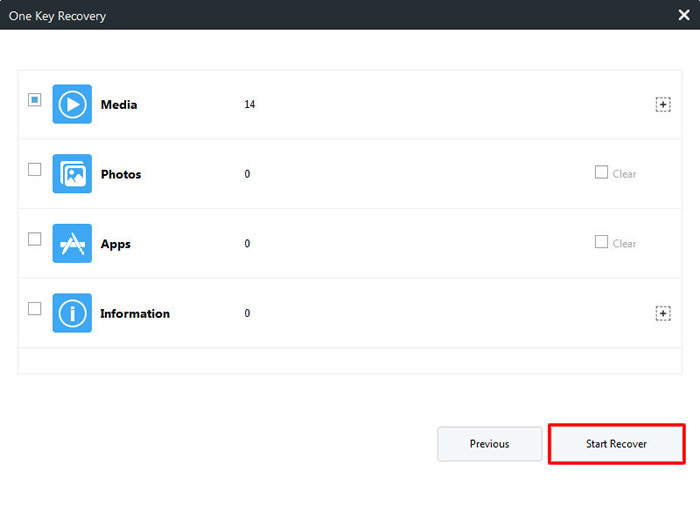 Then select 'Phone to Phone Transfer' option at the first interface and connect both your Samsung phone and Mi Mix 2S to computer via USB cable or using Wi-Fi connection. Wi-Fi connection are only capable to use when Androids and computer accesse to the same network. Please make sure your Samsung phone is on the left side and your Mi Mix 2S is on the right side. Then simply select the contents you want and click 'Start Copy'. Encounter detection problem please click here to fix. 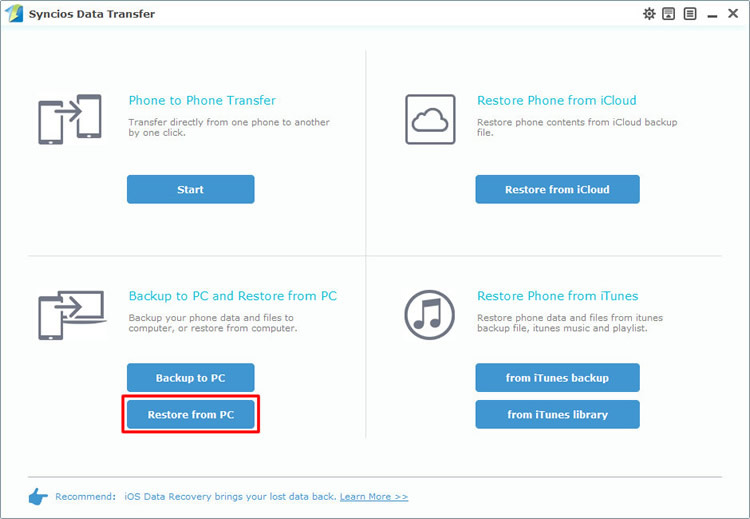 You can also use Syncios Data Transfer to achieve the restoring process. Select 'Restore from PC' at the first interface, then connect your Mi Mix 2S to computer via USB cable or using Wi-Fi connection. All the backups you've made by Syncios Data Transfer will list on the left side. 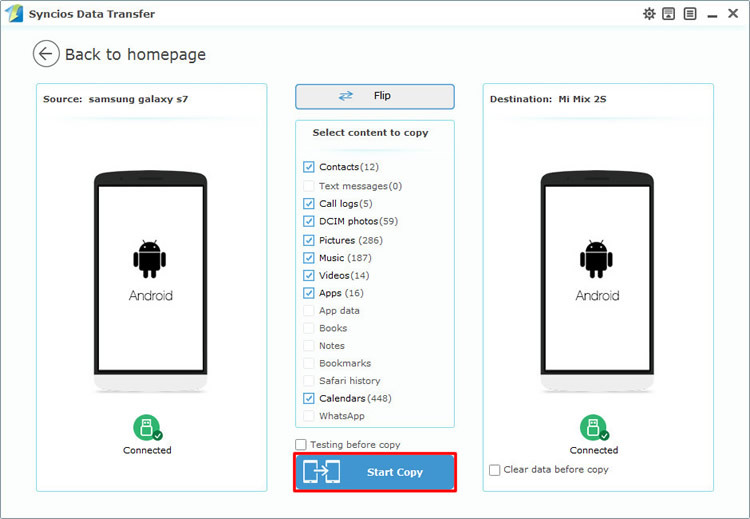 Select the Samsung backups and click 'Start Copy' to launch. Syncios Manager is a comprehensive phone assistant which can not only manage your phone but also can one click backup and restore your data. 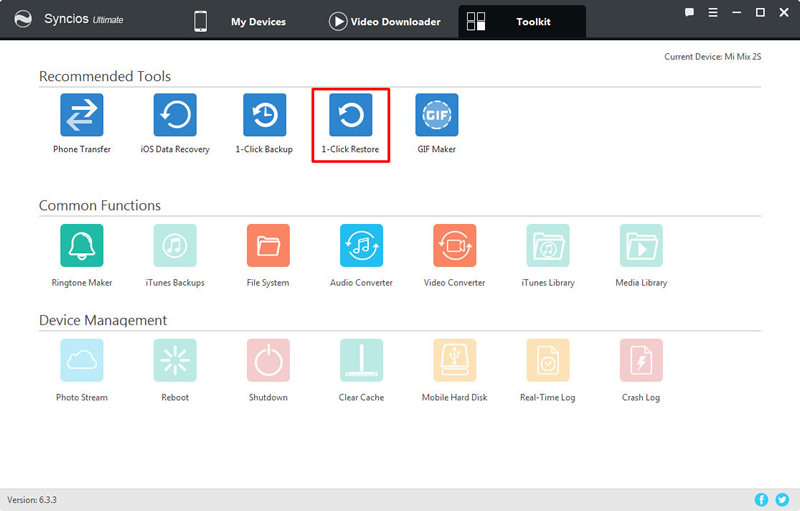 Now you can also use Syncios Manager to transfer Samsung data to Mi Mix 2S. Install and launch Syncios Manager on your computer as your first step. Then connect both your Samsung phone and Mi Mix 2S to computer via USB cable. We use music as a demonstration. First we need to do operations on Samsung phone. Select 'Media' option and select the certain songs you want, click 'Export' button on the menu bar and choose your saving path. Then we can do operations on Mi Mix 2S. Still select 'Media' option and click 'Add' button on the menu bar. 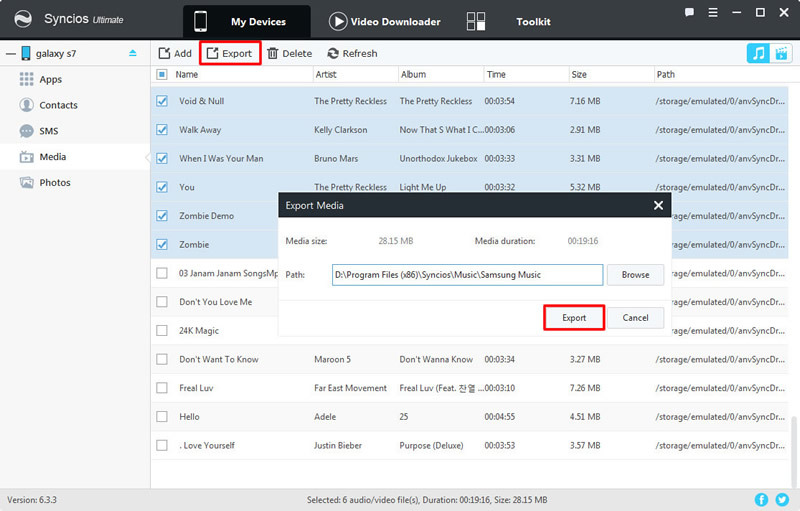 You can import specific music file or whole music folder you just export earlier by choose 'Add File' or 'Add Folder'. Then click 'Open' or 'OK' to import. Go to 'Toolkit' and select '1-Click Restore' function. 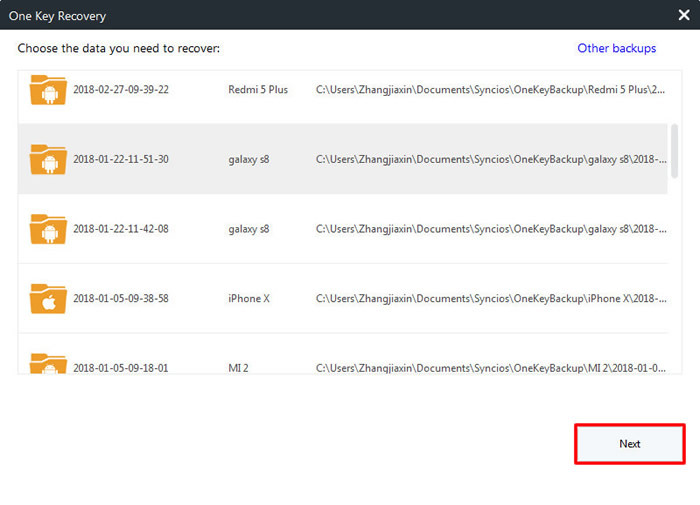 If you ever used '1-Click Backup' to make any Samsung backups, then you are allow to use this method to restore Samsung data to your Mi Mix 2S. 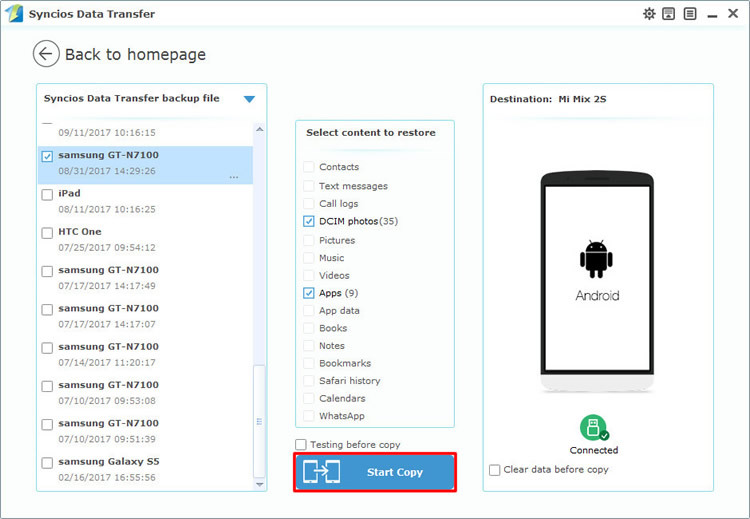 Choose the certain Samsung backups and click 'Next', then select the certain contents and click 'Start Recover' to launch the transferring process. Xiaomi Mi 2/2A/3/4/4i/4C/4S/5/5S/5C/6/A1, Xioami Mi MIX/Mix 2/Mix 2S, Xiaomi Mi Max/Max 2, Redmi 2/2A/3/3X/3S Prime/3S/3 Pro/4/4X, Redmi Note 2/3/4/5/5 Pro, Mi Note/Note 2/Note 3, Redmi Pro, etc.